The Ravens are tenacious, especially on defense. 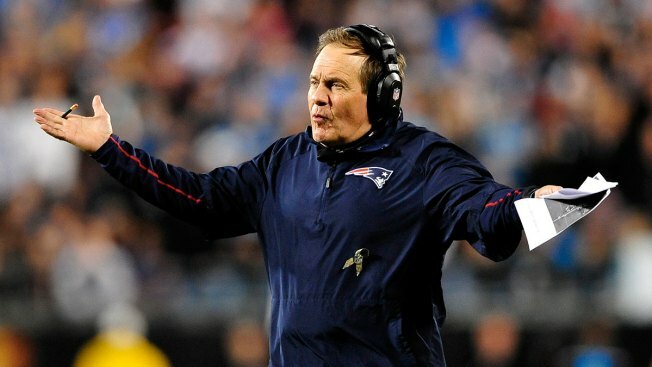 Bill Belichick is quite familiar with the Baltimore Ravens. Uncomfortably familiar, even, given that Baltimore plays New England so well in the postseason. We suspect nothing will change when the two teams meet this Sunday in the AFC Divisional round. So what makes the Ravens so good this time of year? "They're well coached, they're physical, they do a good job on the line of scrimmage on both sides of the ball," Belichick said on Monday, via ESPN.com. "They have explosive skill players on offense, in the return game and on defense. I think Coach [John] Harbaugh has, as always, put those type of teams out there with [general manager] Ozzie [Newsome] and their respective staffs. I think that's what they have again. That's what they are. They're tough; physically and mentally tough. They can play in tough situations and they're talented. They keep coming at you." And that's probably the best way to put it. The Ravens are tenacious, especially on defense. It's a testament to the aforementioned coaching, as well as the players' ability to execute the game plan. "I wouldn't say they've really changed too much over the course of the year," Belichick said. "They pretty much do the things that they like to do. ... It's kind of not that often that you look at a game and say, 'We've never seen them do that before.'" Of course, Belichick is familiar with Ravens' defensive coordinator Dean Pees, who previously served on the Patriots' staff. "Dean does a good job mixing up the coverage of single high safety, split safety, pressure, man zone, combination, using different rushers, using different guys in coverage," Belichick said. "It's pretty extensive, but they kind of keep rolling through it and you know you're going to have to block several different looks over the course of the game." So while the Pats know Pees, does Pees knowing the Pats give the Ravens an advantage?